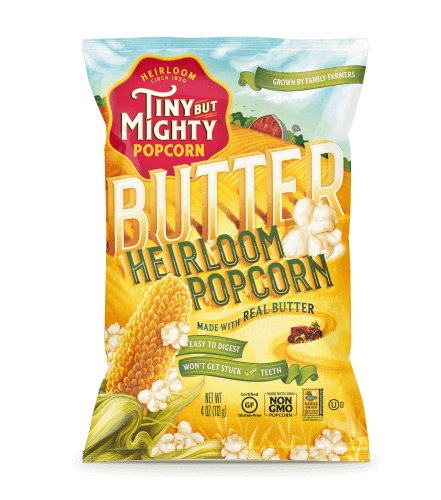 Real cheddar cheese was meant to be paired with our little heirloom. 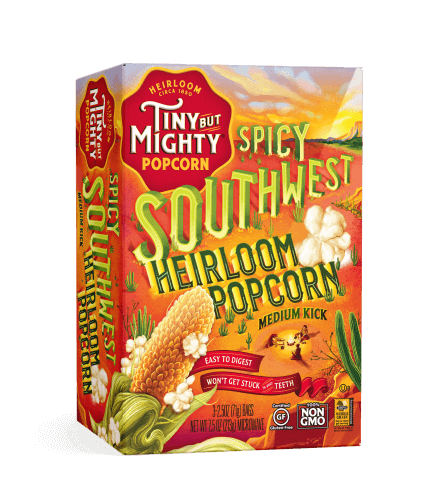 Like wine and cheese, it’s a match made in heaven, or more accurately, in Iowa. 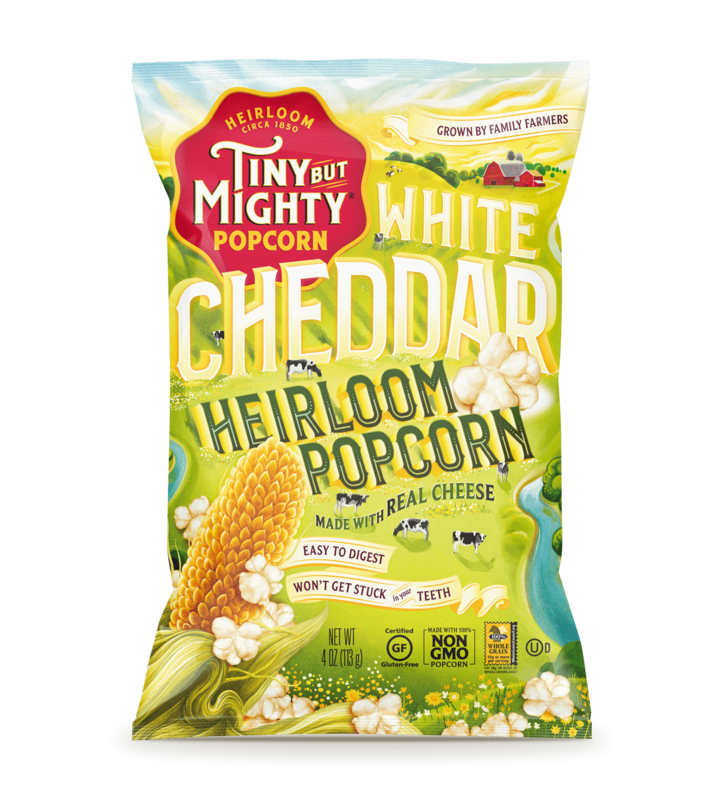 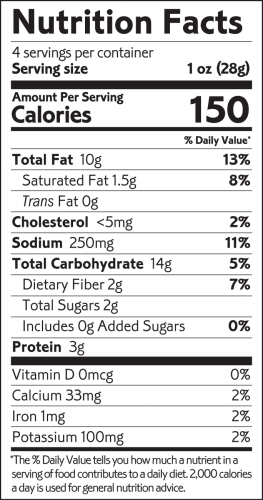 Our White Cheddar Popcorn is air popped in heart-healthy, antioxidant-rich sunflower oil. 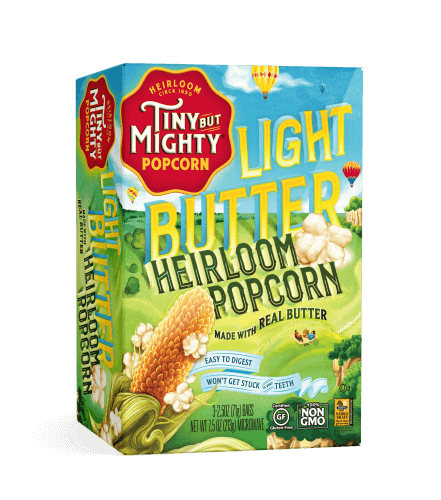 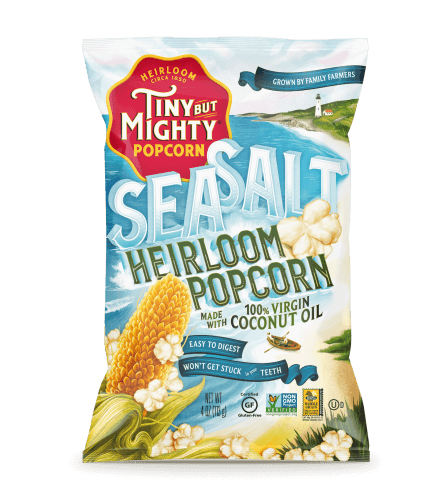 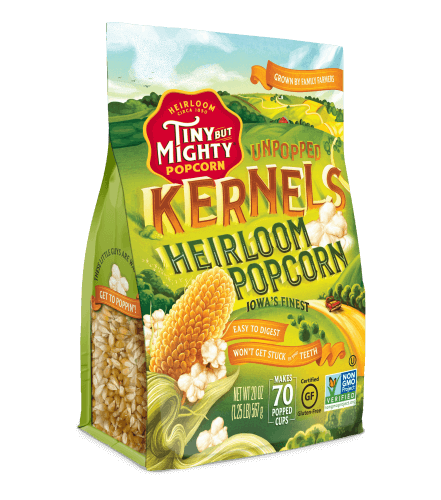 Just like all Tiny But Mighty Popcorn, it won’t get stuck in your teeth, is gluten free and easy to digest. 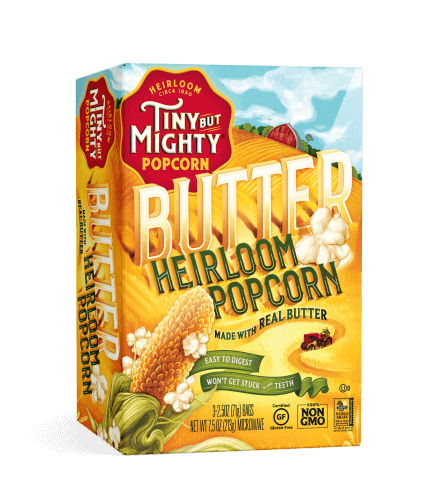 INGREDIENTS: Popcorn, Sunflower Oil, Cheddar Cheese Blend (Cheddar Cheese [Milk, Salt, Cultures, Enzymes], Whey, Buttermilk, Salt, Disodium Phosphate), Whey, Sea Salt.